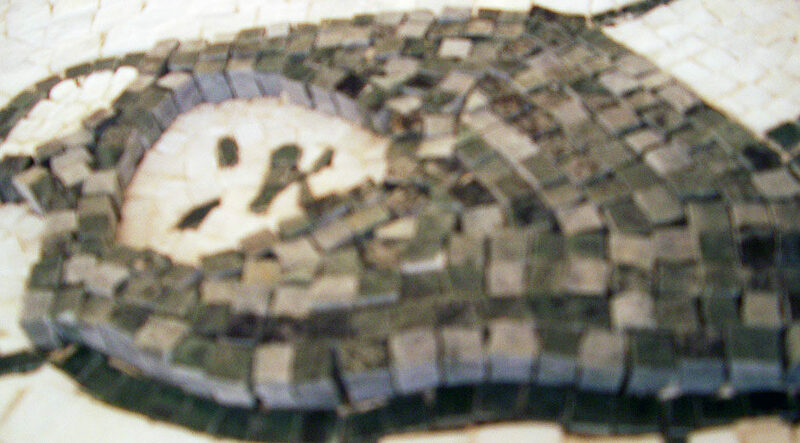 Creation of a contemporary mosaic for a sign (logo) / emblem of the company. 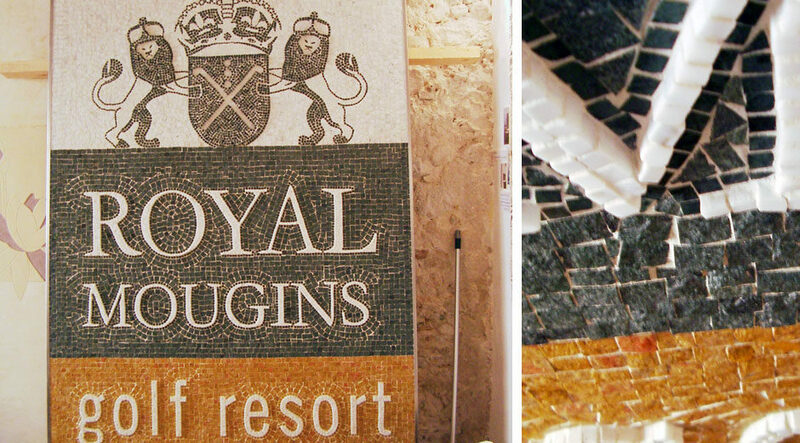 Tailor-made, unique mosaic artwork created in Stuc & Mosaic’s workshop and delivered in-situ at the Royal Mougins Golf Resort in Mougins (France). 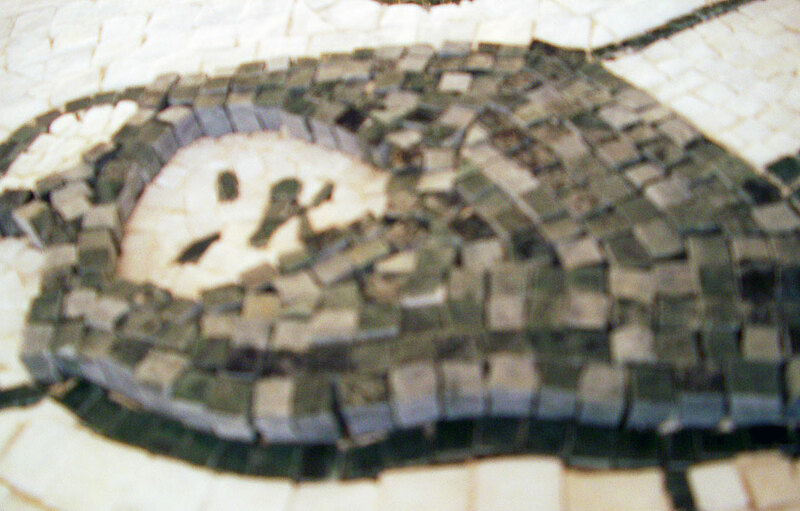 A unique and original sign made out of uneven thickness for the marble in relief to highlight the logo, and valued by the nobility of the white marble of Carrara. 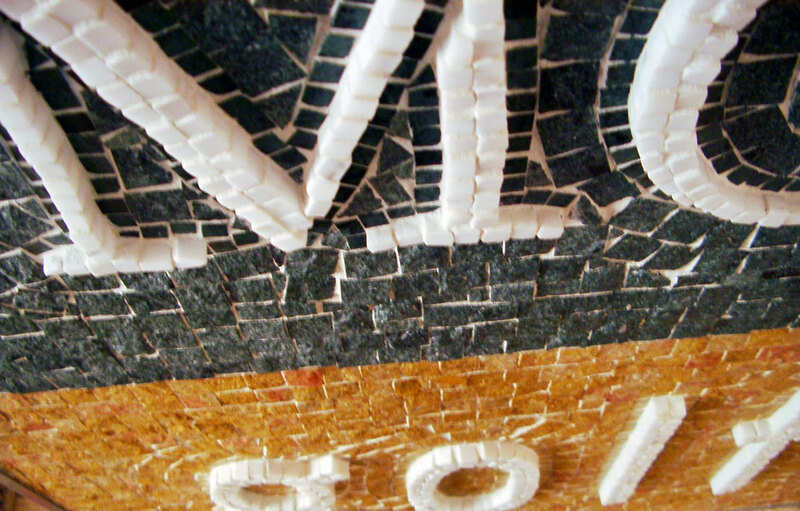 Mosaic artwork created on extruded polystyrene foam panels with various marbles, cut with the hammer and hardie in a contemporary manner The custom-made frame is in stainless steel. Shiny polished and matt polished marble of different sizes cut by hand with the hammer and hardie. An elegant and original way of distinguishing a company or a property! Attract public with your creativity! 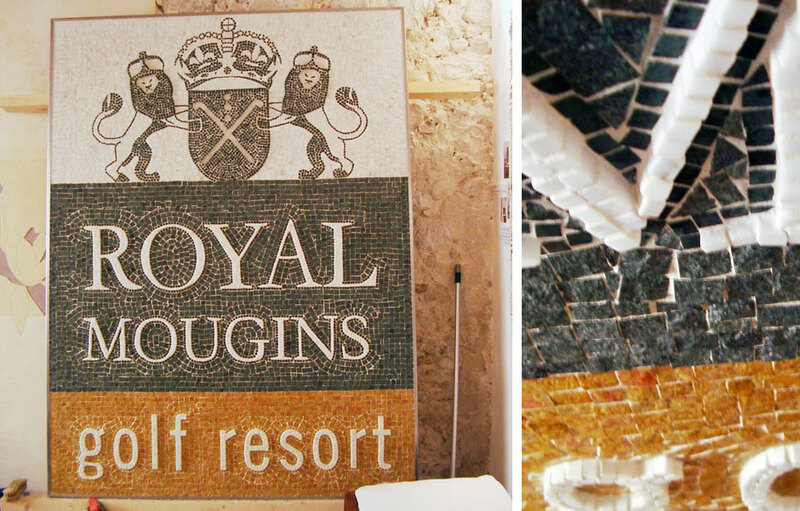 Distinguish your business with a sustainable, highly creative and flexible sign (adaptable to your different places of activity in the event of address change). 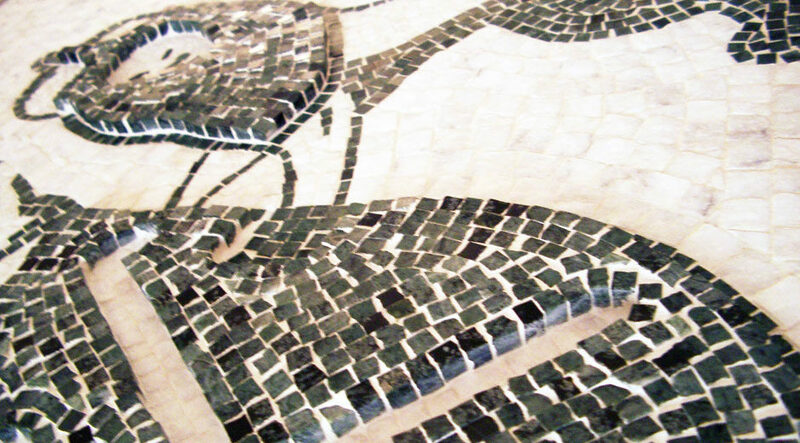 The pattern can be created from a template, a historical research or an architectural style for the historical buildings or private properties. A lettering with simple stylized initials can make the difference! 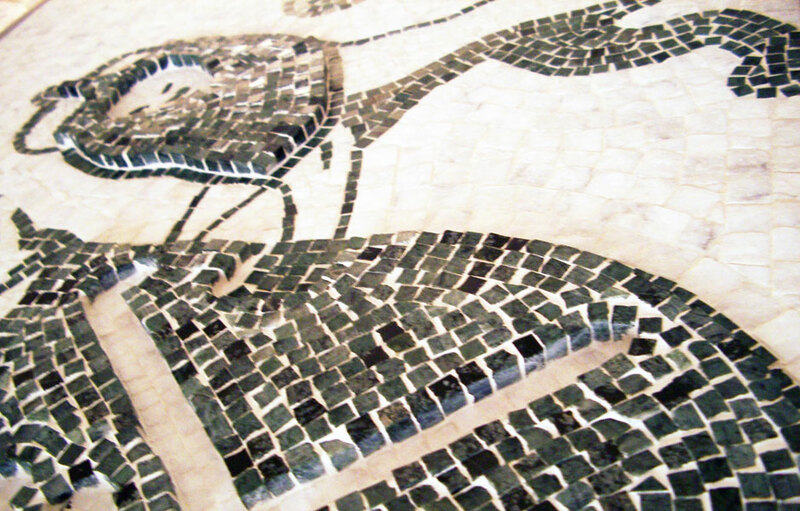 A noble and perennial material like marble can be used as well as Venetian smalt. 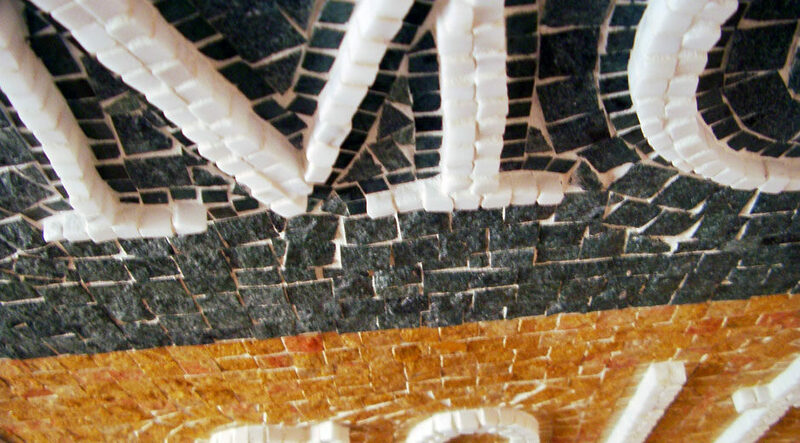 Traditional Venetians smalts including gold foil are perfect to mark the high end character of an institution.